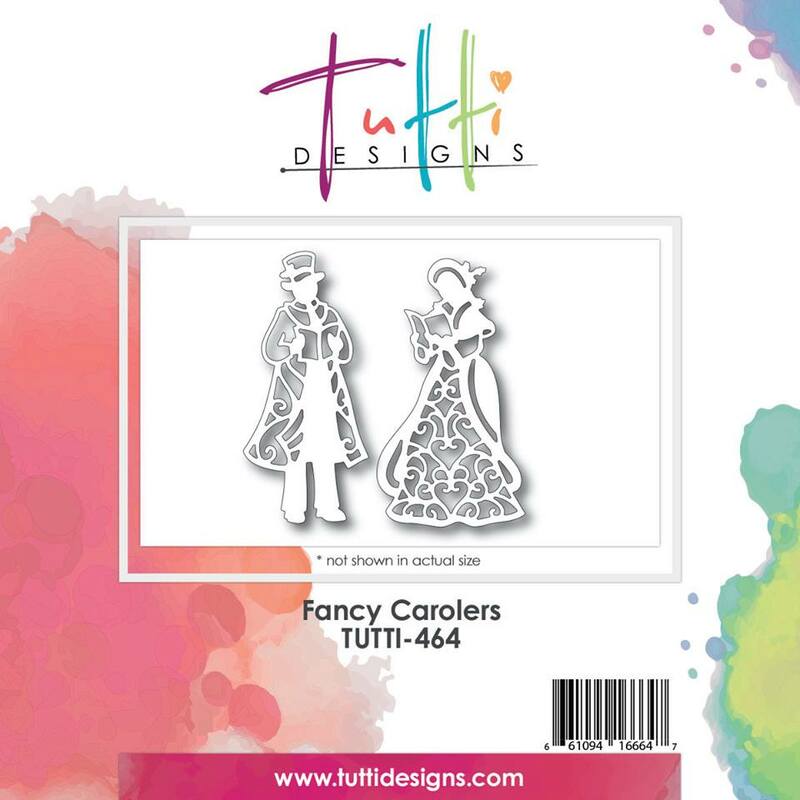 Tutti Designs: Fancy Carolers Sing to Us! 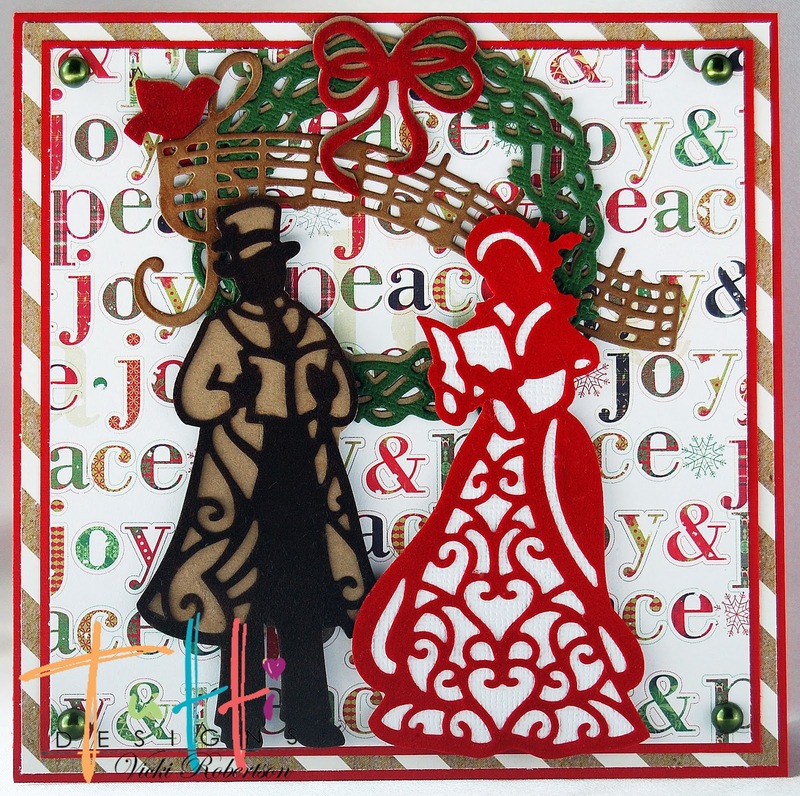 I'm here once again, to share more "Christmas in July" holiday inspiration using two dies from the Tutti Designs' July release, Fancy Carolers and Twig Wreath along with the Musical Stave. I've already added these dies to my list of favorites! 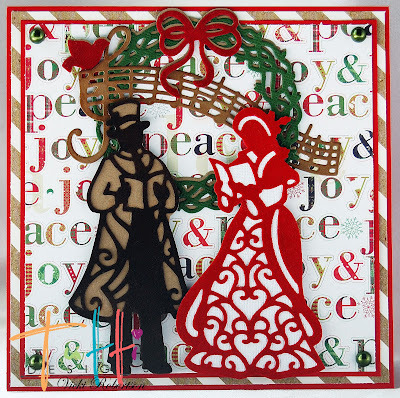 I created this card using traditional Christmas colors in my favorite square format. As always, I've added lots of layers using die cuts. 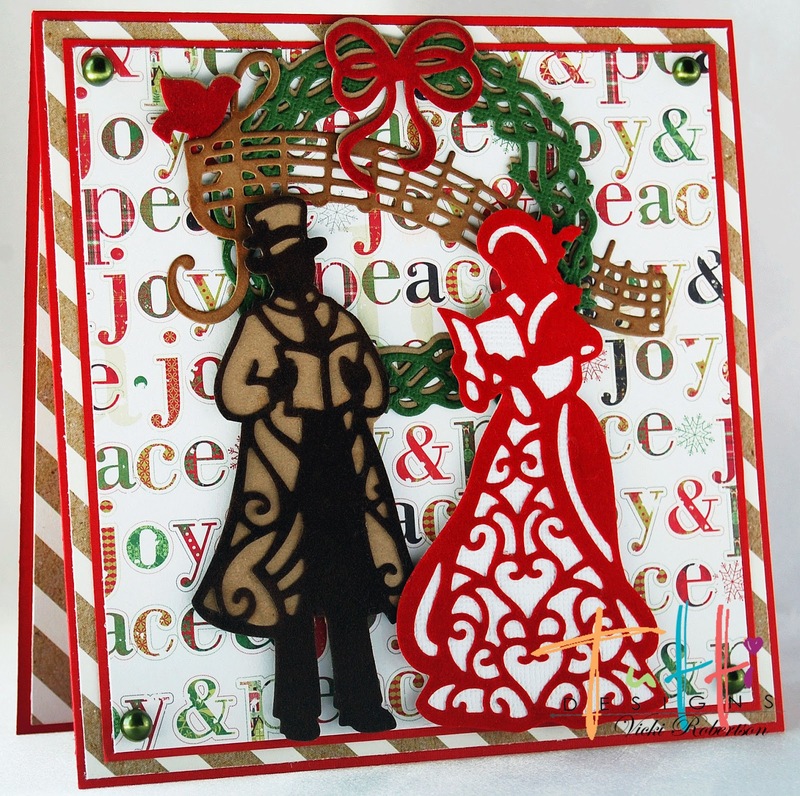 The Fancy Carolers are cut from red and brown velvet specialty paper. I traced both metal dies onto complimentary cardstock, cut them out and adhered the caroler images to them. I cut doubles of the Twig Wreath using two different colors of cardstock and an extra bird and bow from a dark red velvet paper. 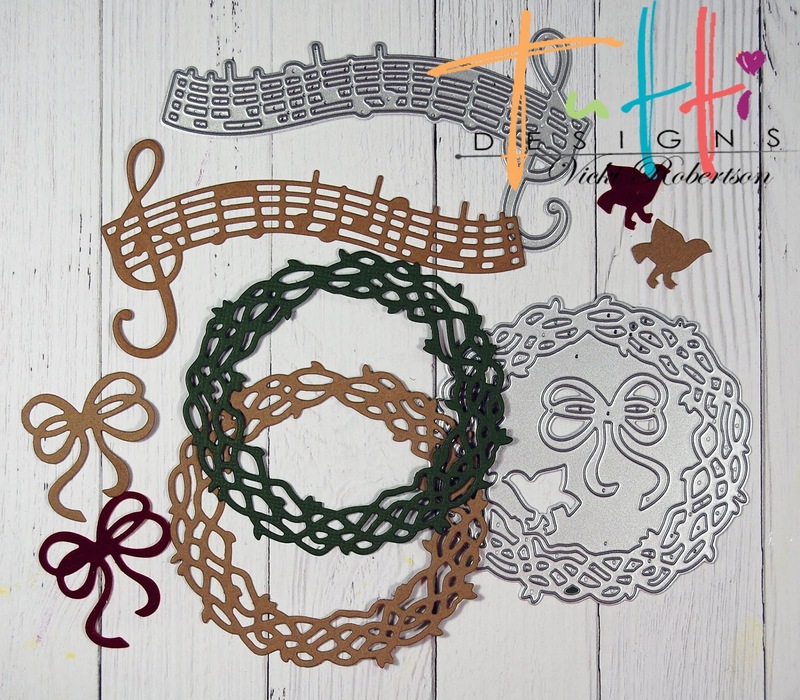 The kraft color wreath serves as matting for the green. 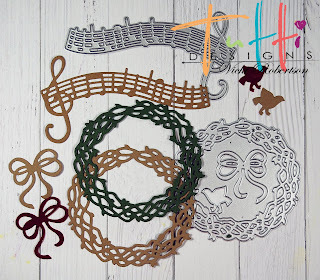 I also die cut the Musical Stave from a kraft paper and inked it with Chestnut Roan Chalk. I assembled everything with the Twig Wreath serving as a background prop and the Musical Stave passing through it. The matted red bird and bow embellish the wreath and stave. I adhered green pearls on the four corners of the card. I've added yet another Christmas card to my growing stack! 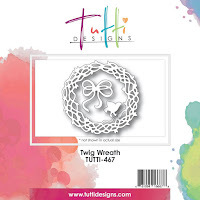 Thanks for stopping by to share my holiday inspiration for Tutti Designs! 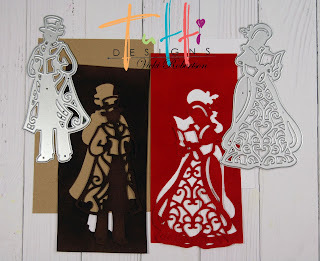 Beautifully created Vicki and great use of those fabulous dies!! Absolutely BEAUTIFUL Vic! Thanks for amazing inspiration! Beautiful card, I love the use of the velvet paper and having the bird perch on the musical notes rather than the wreath. This gets me in the mood to bring out my Christmas dies. Thanks for a great idea. 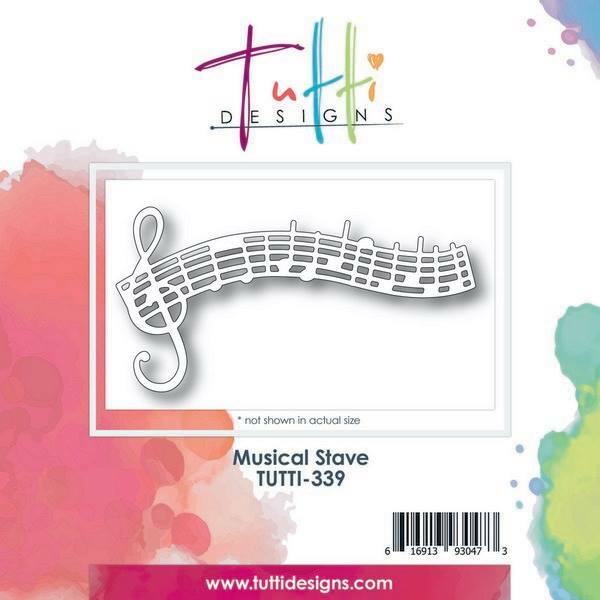 Great design, I love the combination of dies you used!